Building an aircraft carrier takes generations of experience, hundreds of thousands of man hours, years of planning and steady determination. USS Gerald R. Ford (CVN 78) is the product of years of construction, and before that, years of planning and design. Five thousand shipbuilders in Newport News and thousands of suppliers across the United States contributed to this first-in-class ship. 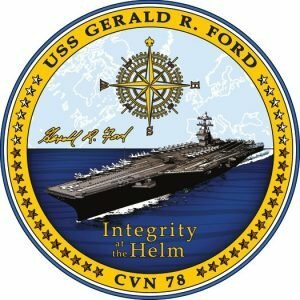 USS Gerald R. Ford (CVN 78) is the first new design for an aircraft carrier since USS Nimitz (CVN 68). 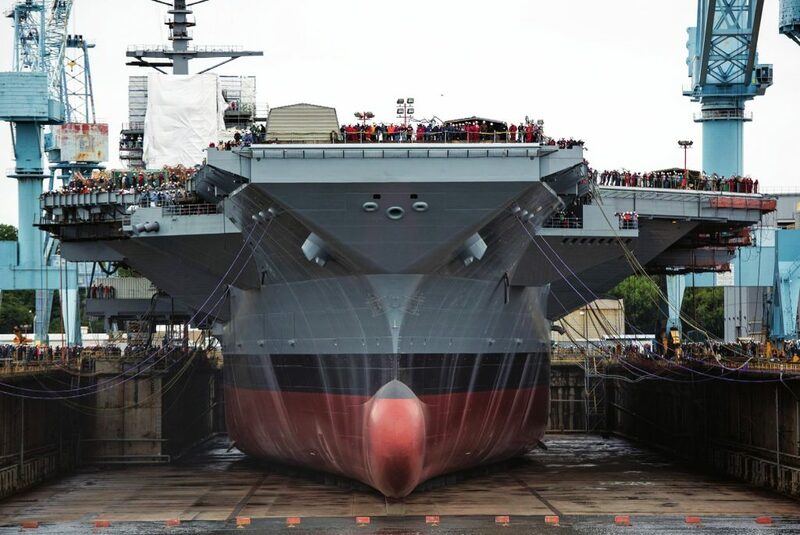 The shipbuilders found value in every square inch of the ship, saving the Navy a projected $4 billion in ownership costs over the ship’s 50-year lifespan. The ship is equipped with two newly-designed reactors and has 250 percent more electrical capacity than previous carriers. The improvements will allow the ship to load weapons and launch aircraft faster than ever before. 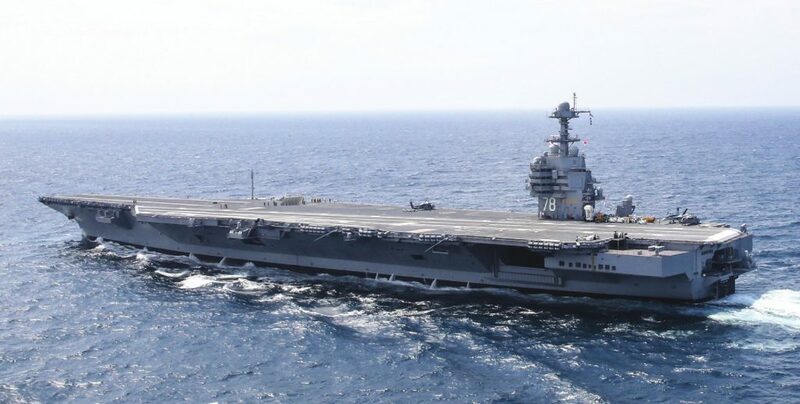 CVN 78 has replaced legacy steam-powered systems with electric-drive components. With three times the electrical-generation capacity of any previous carrier, the ship is readily susceptible of future modernization with new and emerging technologies throughout its 50-year service life.